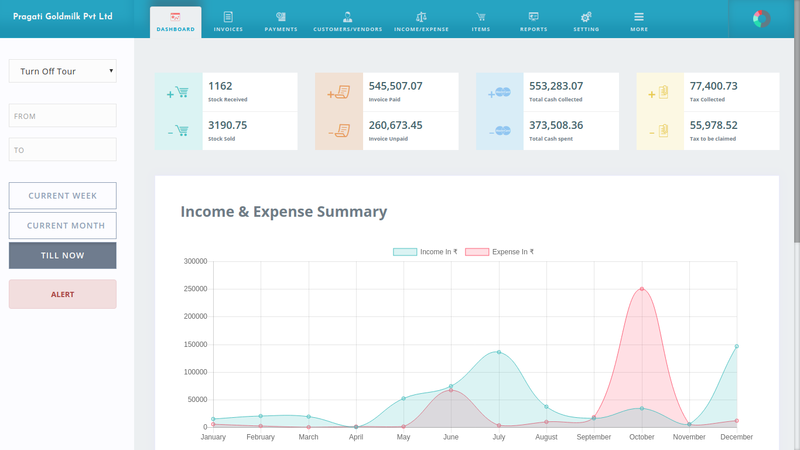 For resellers, SlickAccount is accounting software that makes accounting, time tracking, invoicing and reporting effortless, whether you’re at your desk or on a job site. You’ll spend less time on paperwork and more time doing the work that pays the bills. Collect Credit Card, Debit Card, Net Banking payment and even via UPI etc. 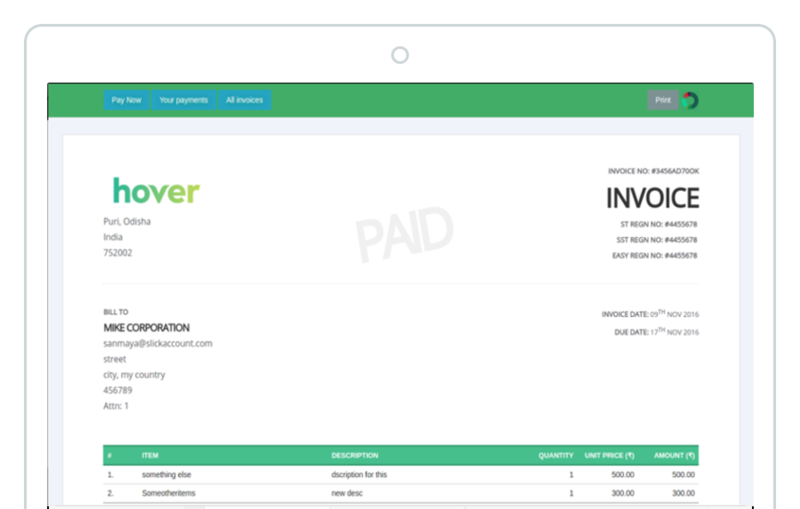 Attach files etc to your invoice. It's so effortless that our customers gave it 5 star rating. 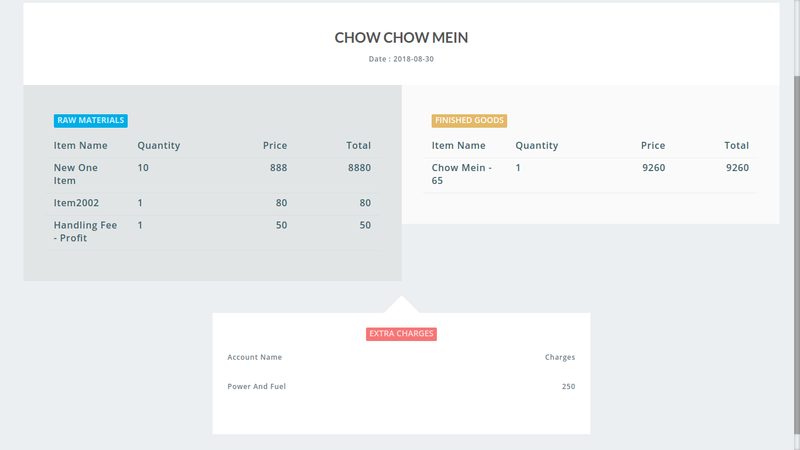 Inventory helps you keep track of all your items, their stock level, you can keep a track of utilization. 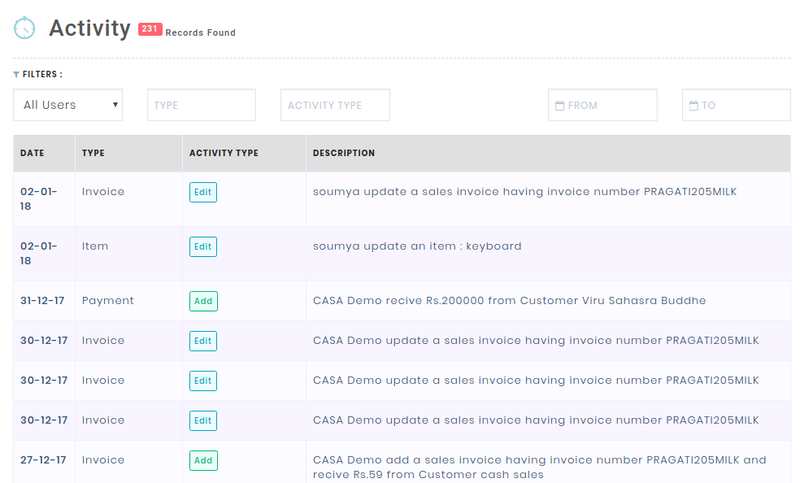 Item search provides you a way to see incoming and outgoing stocks according to brand, invoices etc etc. Check related invoices and many more. 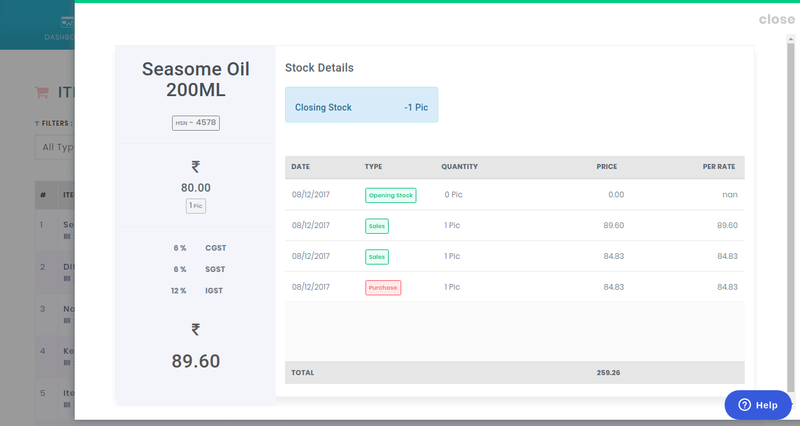 Watch every details related to all stocks and individual stocks, just in a click. Also search the log according to various parameter like utilization, in or out. Now manage multiple warehouses in SlickAccount much easy way. Also the eWayBills etc generation is super easy. If you are a manufacturing company, you can build custom production processes to convert your raw materials to finished goods making inventory effortless. SlickAccount accounting software offers a mobile app that allows you to easily connect with your clients and take care of your accounting anywhere - from coffee shop to mountain top. 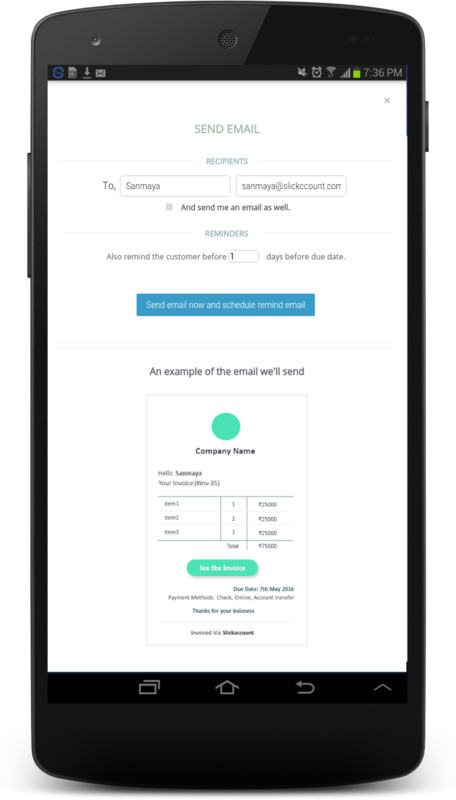 Send invoices on the road, take photos and upload expense receipts in seconds, and respond to your clients’ questions right from the app. SlickAccount accounting software stays in sync across the desktop and mobile apps so you can work on whatever device you prefer without missing any important information. You know how your people try to change the entries in your accounting software to remove traces of their mis-doings. Now clearly see who did what. From creating your recipe to automating costs, we have done amazing things. Everywhere you go keep your accounting data with you always, all your reports, inventory availability, invoices, customers and vendors, on the go every where. Chartered Accountant's Dashboard is specifically designed for Govt Standard Reoprting for easy filing. Moving into SlickAccount from your previous software is easy. Now you can just easily import all your items (nearly 10000lacs of it) into SlickAccount just in 15minutes. Why wait for accounting year end to switch? If you have all your transactions in your Bank, easily import it via CSV file to direct netbanking to SlickAccount accounting software. If you have all your item details and inventory data in an excelsheet or even mutiple excelsheets, you can import it on a click to our accounting software. We have one click import from Tally and Quickbooks, we can import items, inventory details and invoices or other transactions from these accounting softwares. Finally if you are an online business and your data recides in your ecom sites or apps, don't worry, you can send them all in 5-10minutes. Built in Bhubaneswar, Built for the world. © 2013 - 2019 Slick Account Pvt. Ltd.